It’s nice to have a set and forget strategy but ultimately things can and will go wrong so it’s always a good idea to check the logs regularly just to make sure everything has gone to plan. There’s nothing worse then setting and literally forgetting only to come time to restore and find that it hasn’t worked for what ever reason. Please refer to Source and Destination above for naming limitations of folder names. 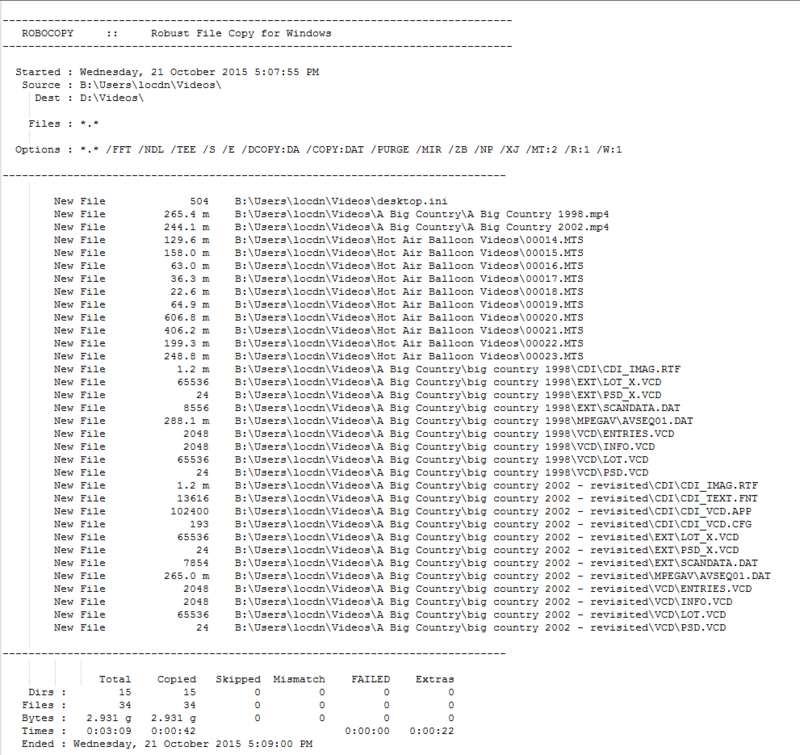 RoboCopy has an excellent built in detailed logging option but it can be overwhelming at times especially if you have lots of data as the logs can be very long. That’s why LockDown has an excellent summary log that you can quickly glance at. It gives you everything you need to know about the backup all in one easy to read file. All log files are located in c:\LocDN\FreeEd\logs and the detailed logs will use the following naming convention of “current_day dash source folder dash destination_folder“ this creates a unique file for each source / destination pair and allows for easy recognition when scanning for the files to study the logs. It’s important to choose different destination folder names so that the first log won’t get overridden by subsequent logs with the same name. The summary is grouped into sections based on the destination. 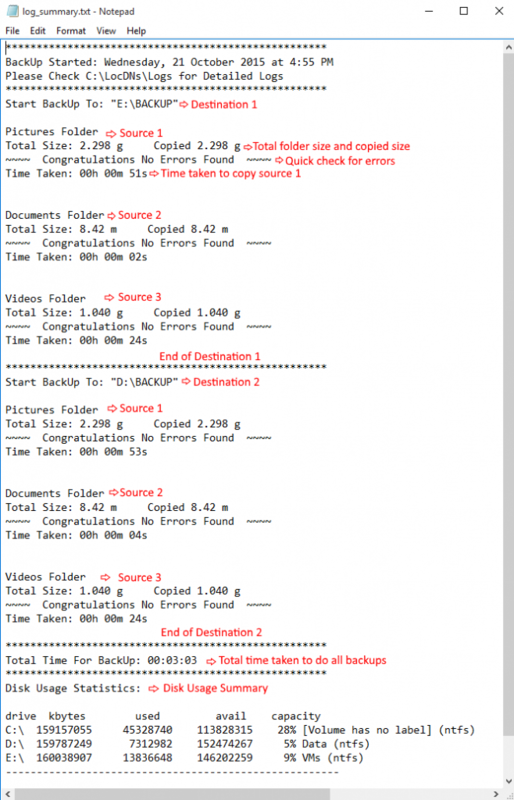 You can compare the summary log above with just one file of the detailed log below. That’s pretty much it! If you have followed all the steps and everything worked along the way then you’re on your way to having a pretty good starting point for a backup! Now its time to build your very own Nas to store your files!